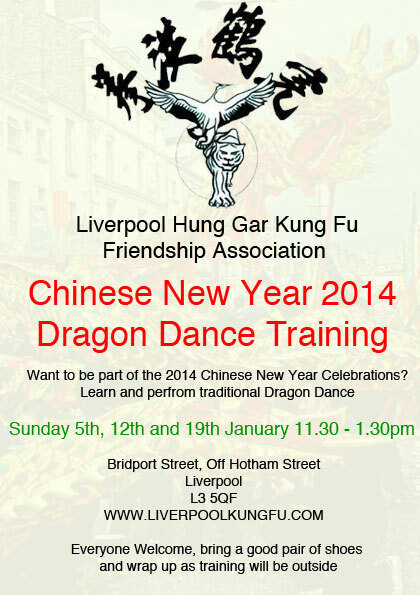 Would you like to take part in the 2014 Chinese New Year celebrations in Liverpool Chinatown? Learn and perform a traditional dragon dance? Come to the school for lessons on Sunday 5th / 12th/ 19th of January 11.30 - 1.30pm. Everyone is welcome, just bring with you good training shoes and wrap up warm as training will be outside.